Alexander The Great, was born in Pella in 356 BC. His father King Philips II was killed when King Philips was attacking Persian Emperor in 336 BC. Alexander was 20 years old when he become a king after his father died. Alexander had already have knowledge and enough militery experiences and also had an intelectual mind, Alxeander teacher was Aristoteles. Within 2 years after he become a king, Alexander able to handle Greece and Noth area that willing to take a chance when King Philips II died to release from Macedonian.And his attention was to Persia. First attack to Persia was in 334 BC. Conquered Small Asia and destroy small Persian Army there. Moved to north to Suriah attacking big Persian Army in Issus. Then turn to south conquered city in Phoenicia Tyre island now Lebanon. That time Alexander received message from King Persia offering half of his kingdom if Alexander agree to do peace agreement but was refused by Alexander. After Tyre fall, Alexander continue his move to south. Conquered Gaza, Egipt. Then moved back to Asia land and attacked Persia in Arbela in 331 BC until finaly able to conquer most of Persian Army. After get big winning, Alexander brought his army to Babylon and attacked Persia city, Suso and Persepolis. 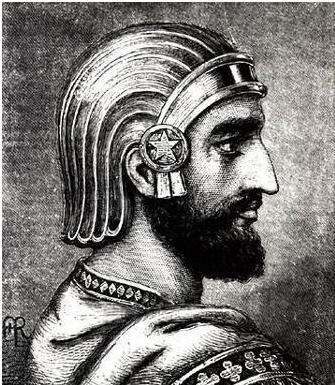 King Persia Darius III was killed by his army to prevent him surrender to Alexander . But Alexander can conquered dan killed Darius replacement and within 3 years conquered all area in East Iran and moved to Middle Asia. Never stop, continue to Afganistan, Hindu Kush Mountain to India. Then after that Alexander return to Persia. After 3 years orgaanized his army, Alexander planned to continue his expantion to Arabia and North area Persia, India, Roma, Carthago and Middle Sea. But his planing never be able to be done. In early June in 323 BC in Babylon, suddenly he got sick fever and died 10 days later.